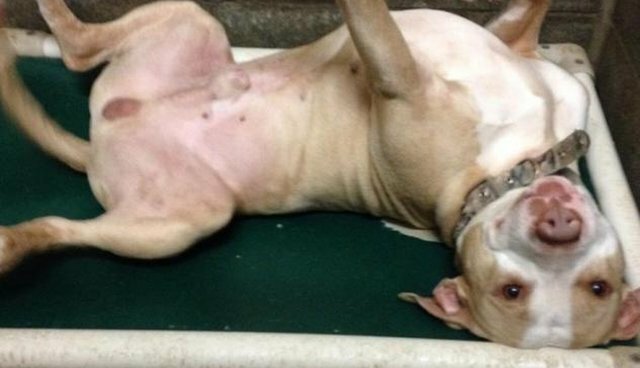 Earl is definitely ready to be someone's pet - the adorable, 3-year-old pit bull mix has the best reaction every morning when shelter staff come by to check on him. He wiggles and flops over like he's the happiest pup in the world. 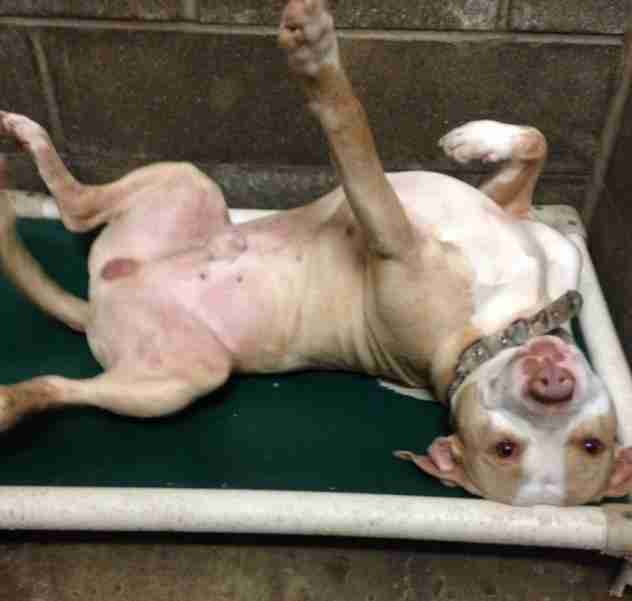 On Wednesday morning, shelter staff uploaded a hilarious video of Earl waiting for someone to come visit him in his kennel, along with the caption, "Earl every morning." Earl "is a super friendly boy who just wants to have fun and be loved on ... 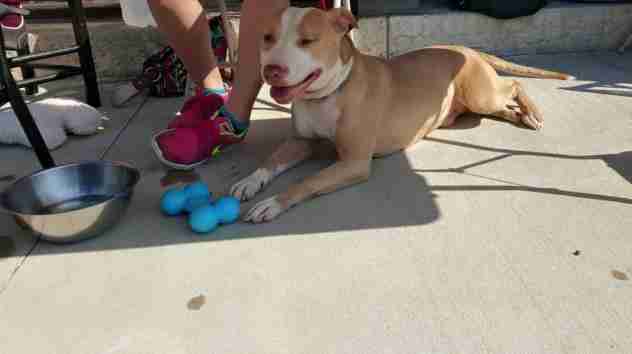 He is a big wiggler and player," according to his profile on Petfinder. "When [shelter staff was] heartworm testing him and getting the rest of his vetting done he just casually laid down in the medical room and waited for us." Earl is currently up for adoption at the Humane Society of Madison County in West Jefferson, Ohio, where his super silly personality has made him a staff favorite. Earl has been waiting at the shelter since March. Sadly, his breed may be one of the reasons he's been waiting so long for a family. Pit bulls like Earl face unfair discrimination, and are often passed over again and again as they wait for adoption. Some estimates suggest that 2,800 pit bulls are euthanized in shelters each day. All Earl wants is love - if he's this happy just seeing the shelter staff every weekday morning, imagine the joy he'll feel once he has a family to greet.